The Epsilon is another stunning new bed frame from Limelight Beds. 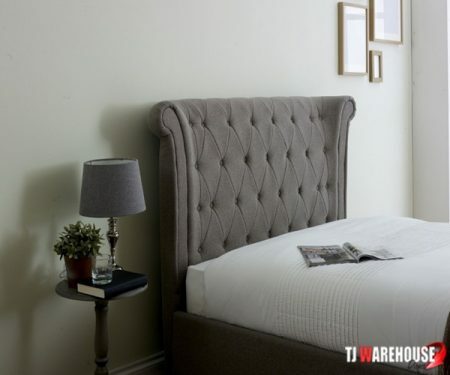 This fabric bedstead features a luxurious and majestic design, that will capture the attention amongst a wide variety of bedroom interiors. The grand nature of the Epsilon will provide a wonderful centrepiece for any bedroom in your home. A Big and Bold beautiful bed frame with a big winged headboard from renowned bed makers Limelight. 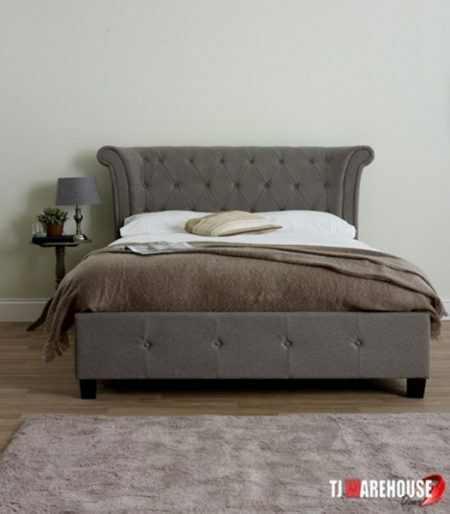 Its covered in a rich Textured Grey Wool fabric the Epsilo boasts a sprung slatted base for comfort and support. The headboard is a traditional Chesterfield effect with low buttoned foot end, Strong wood legs hold the frame closer to the floor.